Gere Kavanaugh (b. 1929) grew up in Memphis, TN. After earning a BFA from Memphis College of Art, Kavanaugh went on to pursue an MFA from Cranbrook Academy of Art. After Cranbrook, she was hired at General Motors working in their styling studio designing displays and creating model kitchens. Kavanaugh was part of GM’s “Damsels of Design” the first group of women to work as professional designers in a U.S. corporation. After moving from Detroit to Los Angeles in the 1960s, Kavanaugh worked as a freelance designer and shared studio space with Frank Gehry, Greg Walsh Deborah Sussman and Don Chadwick. Kavanaugh has designed ceramics, light fixtures, homes, store interiors, textiles and furniture. 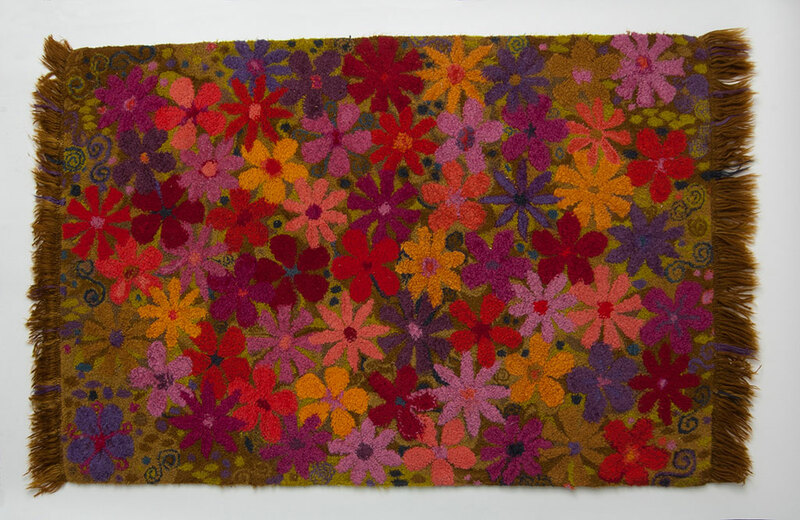 Kavanaugh’s work has been exhibited at the 2011 Pacific Standard Time: Art in L.A. 1945-1980 exhibit at the Craft and Folk Art Museum, and 2012 Museum of California Design California’s Designing Women: 1896–1986 at The Autry. Her work can be found in the collections of American Textile Museum, Los Angeles County Museum, Fashion Institute (NY), among others.